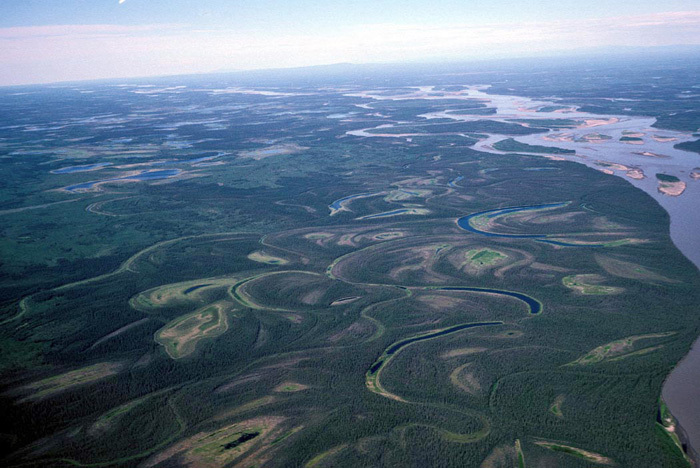 About 12,000 rivers, streams, and creeks crisscross Alaska, says the U.S. Fish and Wildlife Service. Seven of these rivers make the list of the 20 biggest in the United States. 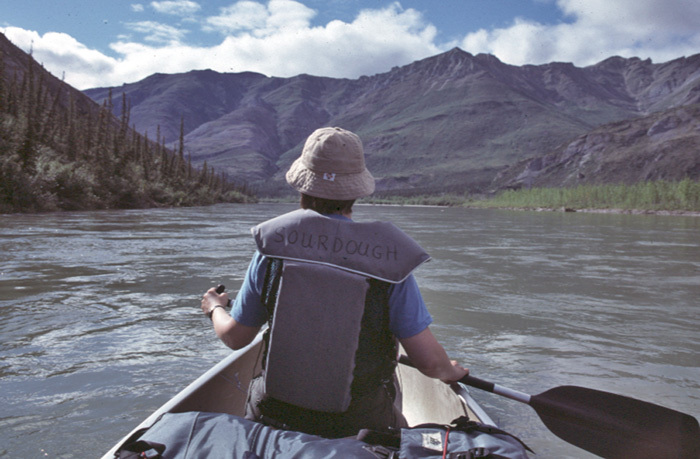 Twenty-five rivers designated Wild and Scenic get special protection to keep them wild. 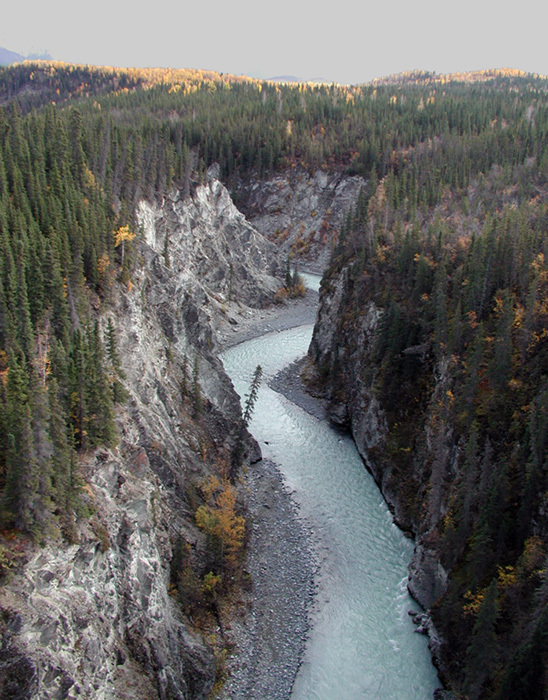 Melting snow and glaciers keep Alaska's rivers flowing. Rain also plays a part in feeding the rivers. 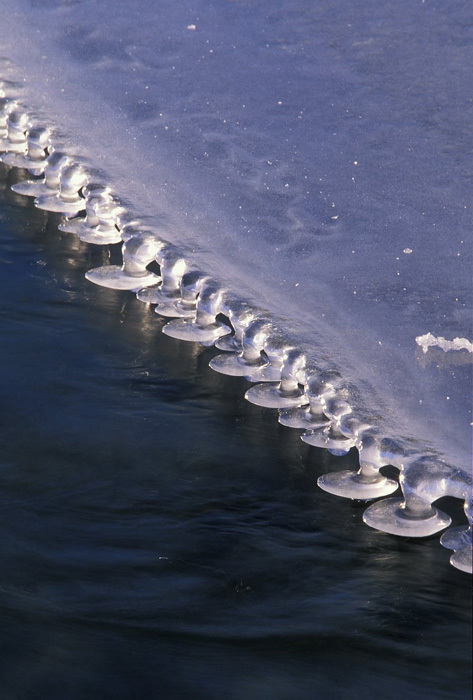 Very few rivers don't freeze during the winter. When these frozen rivers begin to thaw, the floating chunks of ice can create dams that cause the water to back up behind them and flood the area. 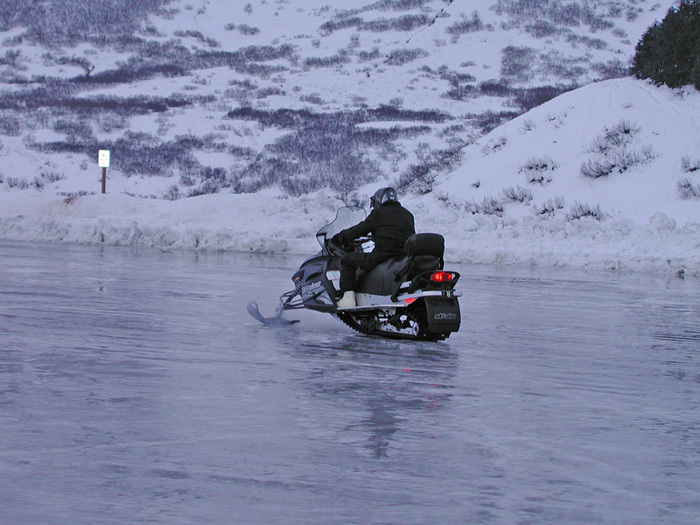 The Nenana Ice Classic is an annual contest to see who can guess the time when the tripod set up on the frozen river will fall as the ice thaws. Only 15,000 miles of roads cross Alaska. That isn't much when you think about Alaska's size. The small state of Indiana has more than 96,000 miles of roads. 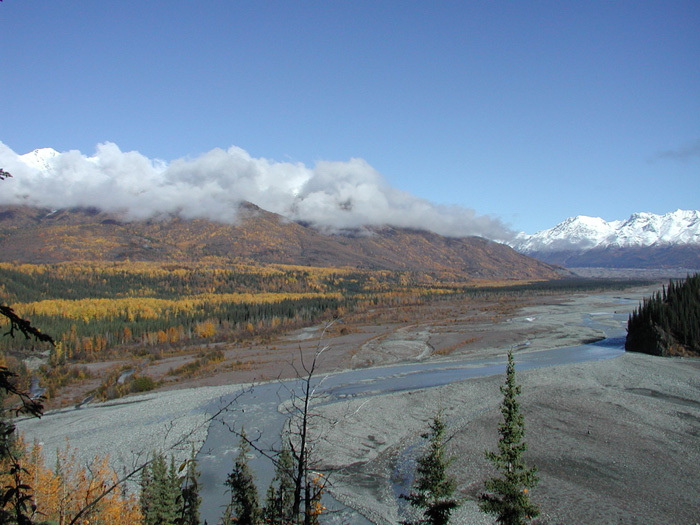 Most of the villages in Alaska that are not near a major road are found near a river. With so few roads, the 365,000 miles of rivers and streams here offer the best way for many people to get from one place to another. When the rivers are free of ice, people travel by boat. In the winter, people walk, ski, snowshoe, drive dog teams or snow machines on the frozen rivers. During the gold rushes of the early 1900s, some miners even road bicycles on the frozen rivers to get to the next gold strike. The fish and wildlife found in and around the rivers also drew people to live nearby. All five types of salmon and many other fish are found in most of the freshwater streams in Alaska. The water and the plants along the shore attract all kinds of animals that people who don't live near a grocery store need to survive. 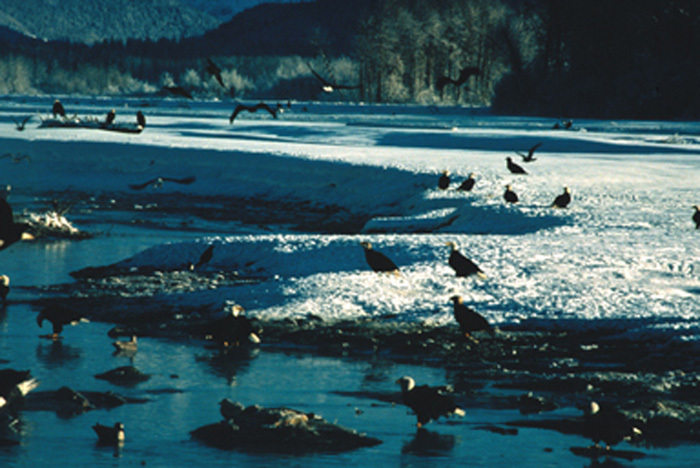 Yukon River, 1,400 miles in Alaska and 580 in Canada, is the fourth largest river in the United States.